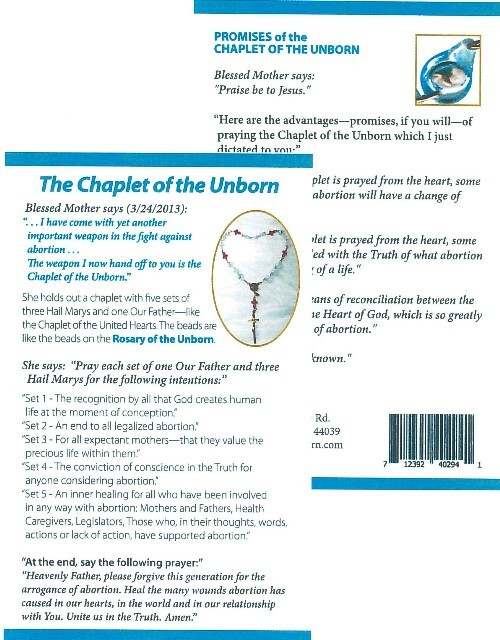 (Pack contains ONLY the prayer cards and does NOT contain the actual Chaplet). 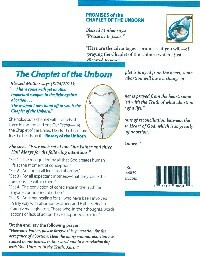 The front of the prayer card shows the Image of the Chaplet of the Unborn Bead. Size: 3.5 in x 5.5 in.